The Coffey County Sheriff’s Office is accepting application for a full time dispatcher. The Sheriff’s Office is looking to hire someone with computer abilities and previous experience in a dispatch environment would be a plus. Candidates will be expected to answer all 911 and administrative telephones, dispatch radio calls, run the state computer system and maintain the in house computer system. Strong communications skill and the ability to think fast under pressure are required. Starting salary is $16.02 an hour plus benefits. Hourly pay could be higher depending on applicant’s qualifications and certifications. High school diploma or G.E.D. is required. 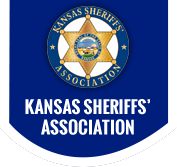 Applicant must possess a valid Kansas driver’s license. Applicant cannot have any Felony or Domestic Violence Convictions. You will be required to pass a physical, a Drug and Alcohol test and a polygraph examination (lie detector test) as part of the pre-employment background investigation process and, if employed, at any time if requested. Further information and applications may be obtained from the Coffey county Sheriff’s office at 605 Neosho Street Burlington, Kansas 66839 or by phoning (620) 364-5537. Applications, which have instructions, may also be obtained by clicking here. This application is specific to the Sheriff’s Office; if in doubt - please call. Closing date: Applications for this position will be accepted until the position is filled.